The New "McWane Way" -- What Do the Workers Say? On Oct. 29, 2002, Guadalupe Garcia, Jr. was critically injured at McWane's Tyler Pipe plant in Tyler, Texas, when he was pinned between a truck and a metal bin. His legs had to be amputated. The driver of the truck, Mark A. Hall, later told The New York Times that if there had been lighting in the area, "there's a great possibility I would have seen him back there," referring to Garcia. McWane President Ruffner Page responded to the Times, saying: "We do not know why Mr. Garcia was behind that truck. He had no work responsibilities in the area where the accident occurred." An Occupational Safety and Health Administration (OSHA) inspection was ongoing at the company at the time of the accident, and the government later fined Tyler Pipe $196,000 for multiple violations, some related to Garcia's accident. Today, Garcia is still living near Tyler, Texas, but is wheelchair-bound. After his accident, Garcia filed a civil lawsuit against McWane, and a settlement agreement was eventually reached. According to his attorney, a strict confidentiality clause in that settlement agreement prohibits Garcia from talking to FRONTLINE or offering any details about his life today. 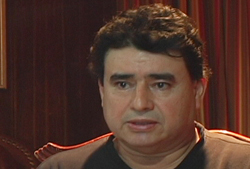 In March 2002, Marcos Lopez broke his back while working on a machine at McWane's Tyler Pipe. A medical examination by the state of Texas determined that he would be partially disabled for life. Today, Lopez says he cannot pick up his children nor stand for longer than 30 minutes without resting. He hasn't worked since his accident. According to Mr. Lopez, he received workers' compensation insurance for about six months after the accident. He had been involved in four lawsuits in the past five years stemming from the accident. 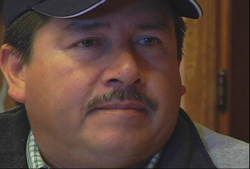 Today, Lopez, his wife and his three children all live off of his disability checks. Ira Cofer began his career at McWane's Tyler Pipe in 1974, fixing and fine-tuning the foundry's machinery -- until he suffered a devastating injury. On Jan. 22, 1997, Cofer was working alone, repairing a moving conveyor belt that carried the fine sand used in making pipe. As he reached up into the machine, his sleeve caught on the unguarded conveyer belt. Cofer was lifted off the ground and pulled by the arm into the spinning belt. Through the noise and commotion of the plant, Cofer hung helplessly, screaming, for nearly three hours. In a report, government investigators later described how "the friction of the belt had sanded [Cofer's] arm away, so that even his elbow joint was worn smooth and flat." "I was mad for a while, then I was praying," Cofer later said of the experience. At the time, Tyler Pipe officials blamed Cofer for the accident: "Keep hand away from belt and do not work alone," they wrote. Cofer's arm had to be amputated. After the accident, Cofer was reassigned to the graveyard shift, fixing tools from 5 p.m. to 4 a.m. This was Cofer's job when first contacted by The New York Times and FRONTLINE in 2002. 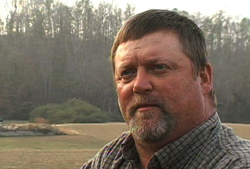 Cofer continued at the plant until January 2007, when he says he was forced into retirement, ending his 33-year career at Tyler Pipe. For the loss of his arm, Cofer said he received about $50,000 in Texas workers' compensation benefits. Today, he lives on Social Security and Tyler Pipe retirement payments. "It's a rough place," he said of Tyler Pipe, "but I was just trying to make a living." Before he became a whistleblower, Robert Rester was an old hand at making McWane pipe. He began his career with McWane in 1978 when he took a job as a millwright at the M&H Valve foundry, a McWane subsidiary. Rester rose through the ranks, receiving assignments to various plants in the United States and Canada. In 1999, Rester was promoted to plant manager at McWane's flagship foundry in Birmingham, Ala., a position that paid as much as $125,000 a year, depending on how successful he was in keeping costs down. But keeping costs down, Rester said, meant skirting environmental and worker-safety rules: dumping toxins into local creeks and covering up employee injuries. Rester admitted that he went along with the scheme. "You got polluted water, wait for a good rain and put it in the creek. Someone gets hurt, put someone else on the line. Keep the pipe moving, that's all that counts," he told FRONTLINE in 2002. When Rester was contacted by The New York Times and FRONTLINE in 2002, he was on medical leave for a heart condition and dealing with the recent death of his wife. He said he was having a change of heart about McWane, and he decided to blow the whistle. Following the New York Times series and the FRONTLINE broadcast, Rester was contacted by federal investigators looking into McWane. Rester consulted an attorney and decided to speak to the FBI and the Environmental Protection Agency (EPA), who in turn agreed not to prosecute him if he implicated himself in related crimes. Rester became a key witness for the government and testified at trial. He also filed a whistleblower suit against McWane, claiming he was wrongfully terminated. 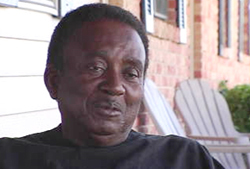 Rester lost his civil suit and without steady employment was forced to file for bankruptcy. "I lost it all," Rester later told FRONTLINE. "Horses, guns, the house and land where I used to live. I don't regret. I mean, of course sometimes I look at what I've lost and what I could have now, but I still feel like I did the right thing." Today, Rester makes a living driving a garbage truck in Anniston, Ala., which is home to two McWane plants.